The province of Girona is one of the world’s major food and wine destinations, a region at the forefront of culinary innovation as one of the greatest creative hubs on the planet. 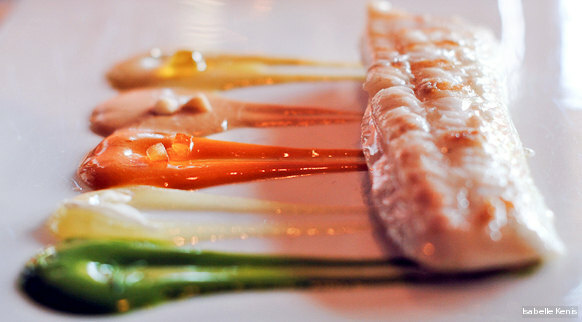 The combination of sea and mountains is the trademark of Girona cuisine, the fusion of the region’s culinary techniques and character. A cuisine with substance and its own identity; not merely a style of eating and drinking, but a way of life. This is Michelin-star territory, with a total of 19 Michelin stars awarded to 15 restaurants that offer unforgettable dining experiences. 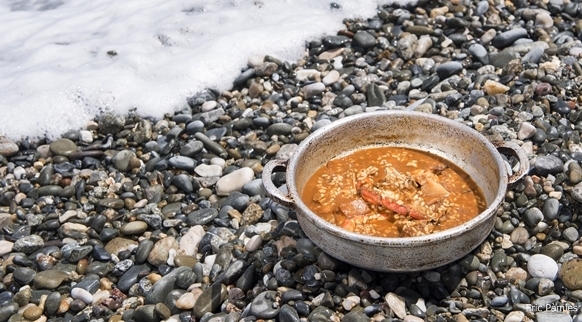 The landscape of the Costa Brava and Girona Pyrenees –where sea and mountains meet– also has a marked presence in the region’s cuisine. They are the true ambassadors of Girona’s food and wine. They represent and promote our cuisine and local products. A good rest and a delicious meal. A relaxing atmosphere and a glass of DO Empordà wine. This is all at your fingertips at our gourmet accommodations. 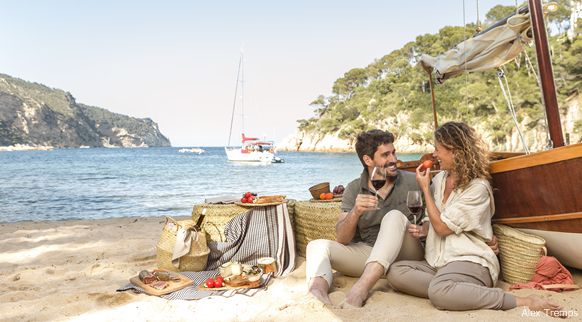 Landscape and food and wine go hand in hand in the Costa Brava and Girona Pyrenes. And the region’s outstanding accommodations also do their part to enhance your experience. How is olive oil made in Empordà? And the different types of Girona cheeses? What is the secret to making a craft beer? Get ready for new, delicious experiences. These companies organise original activities guaranteed to make a good impression. These are cooking classes and other venues designed specifically for sharing a range of activities related to good food and wine. A chef to prepare an outstanding dinner for two at home is within your reach. Or have a superb meal catered for your group of friends. Or perhaps a wine tasting with colleagues. Visitors can enjoy the full range of Empordà wines with tastings at different wine bars and shopping at specialty stores. A region’s culture can’t be fully discovered without delving into its cuisine. In Girona, this is possible through a range of travel agencies and reservation centres. It is important to keep those things that form part of our identity alive as well as share them with the rest of the world. Make room on your calendar. 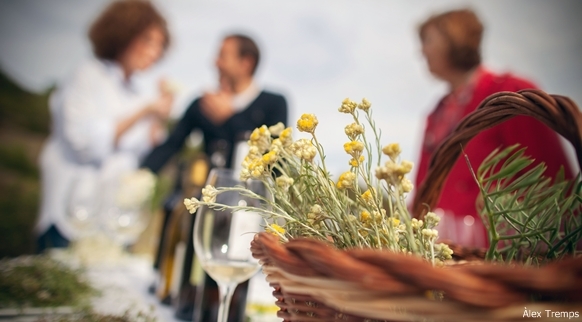 The region’s event calendar is full of food and wine trade fairs, exhibitions and campaigns, local markets. Food quality label to promote Girona Provincial Council and the Chamber of Commerce. The food and wine map of the Costa Brava and Girona Pyrenees provides a host of attractions in mere inches of territory. A range of transport companies specialised in food and wine are available to make getting there even easier. The Costa and Girona Pyrenees Food and Wine Club enjoys the support of several public organisations.